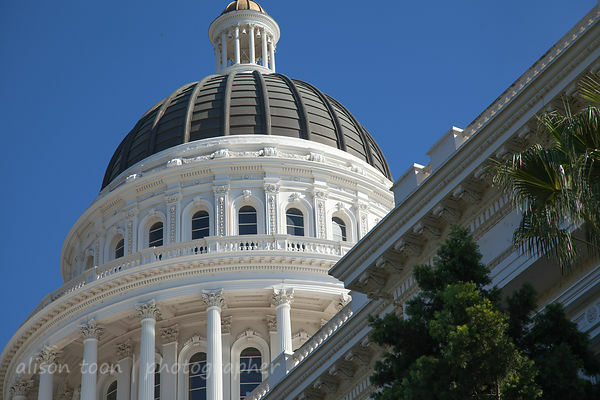 I'm back in Sacramento, California, for a few days--because family, and because Aftershock festival--and after only a few months away, I see changes. More beautiful murals have been added, thanks to Wide Open Walls (one example: Shepard Fairey's mural of Johnny Cash on 16th and L street is absolutely stunning). DOCO -- the weird name an abbreviation of "downtown commons", better known as the area of town which now houses the Golden State arena, home to the Sacramento Kings and host to many big-name concerts, is really coming alive. Shops, cafes and restaurants are opening. There is a play area next to the arena doors where you can play large-scale draughts (checkers) and other games. The pedestrian area allows you to walk across several blocks, and all the way from Old Sacramento to 7th Street without encountering any traffic. The light rail (tramway) has stops close to the arena, so in theory, you don't need to even drive downtown. Today, a Sunday, with an event at the arena, DOCO was buzzing, with people walking all over the downtown grid--very different to the dead-after-5pm-and-at-weekends scene when I lived on 3rd street, a couple of years ago. The DOCO development may seem to be taking a long time (it is), but as several signs say--it's worth waiting for. On the other hand... nothing changes. If anything, the downtown scene has deteriorated even further. This "other hand" is the one that pushes the kids in a stroller, holds onto a toddler, carries a shopping bag from the pharmacy on K street or grabs a coffee from a cafe on J, walks to the farmers' markets around the city, or to one of a tasty variety of food trucks at lunchtime. The view of a pedestrian in a town where the majority drive, park, and leave at the end of their working day. The hand attached to the person who sees and encounters all the many people who live on the streets--literally, on the hard concrete of the streets--of this city. In common with so many USA cities, Sacramento's population of street people is something that would totally horrify people in the UK, who are worried when a provincial town's number of humans "sleeping rough" reaches double digits. When I first arrived in Sacramento during the summer of 2000, people used to joke about "downtown crazies". I naively thought that the tale of a guy waking up in his home, and finding a random stranger sitting on his couch, watching his TV and drinking his beer, and then just getting up and leaving was just that... a tale. American friends soon told me how so many people with mental health challenges (and in particular, military veterans, and on a huge scale in Los Angeles) had been turned out of care homes and, with nowhere to go for help, had ended up on the streets. It's hard to know where the drink and drugs problems end, and where the mental health issues begin, or which came first. There are used syringes on the sidewalk when you walk from downtown to Broadway; there are used syringes in Capitol Park. There are people sleeping on the grass in Capitol Park, Southside Park, Cesar Chavez Plaza. There are people who rely on public toilets being open, so that they can wash and use the loo and have a little dignity. 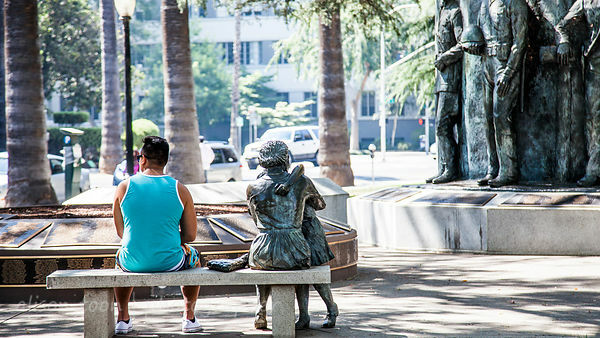 Spend any more than a few minutes walking the streets of Sacramento, and I guarantee that you will have an encounter that will make you smile, and another that will make you want to run for the hills. In the space of a few days, I witnessed two women yelling insults at beings that only they could see. One of these women was disheveled, unwashed, and having a very loud and angry conversation all the way down 15th street from R towards the freeway (I encountered this same lady twice, while walking to the nearest Dimple Records to downtown,). The second was a well-dressed lady who had just spent a while washing and changing in the public toilets in the Capitol grounds, and then, for no reason that I could see, suddenly started yelling and cursing and making random death threats, while a young mother waited with her child locked in a cubicle, until the shouting woman had quietened down and then proudly walked out of the toilets and away. I do not think either of these women are simply using drugs. They are dealing with challenges that most of us cannot imagine. Both of these women seemed to be experiencing severe mental illness. I had no clue whatsoever what to do to help them. Calling the cops seemed ridiculous, and more threatening than helpful--while the toilet incident was, for a moment at least, scary, no harm was done--but neither of these women should not have to deal with these issues, alone, on the streets, with most people turning their eyes, and then their backs. I have taken first aid training many times, I know how to administer CPR, I have helped people having epileptic seizures, even coped with drug overdoses... but I have not an inking of what to do when faced with a stranger in the middle of a violent delusion. The human race, worldwide, has made huge progress in dealing with mental health, and yet, the USA has cities with more and more people living outdoors and who desperately need, but are not receiving, one iota of the help that they could use. No matter how many 'homeless shelters' are provided, no matter how many care packages are handed out by well-meaning volunteers, nothing is going to help as much as proper mental health care, whether for addiction or schizophrenia or depression. Health care for all. Not for profit, but for the health of the city, the people, the nation. And then the pedestrians who are now starting to enjoy DOCO may expand their wanderings, and really enjoy visiting each and every public space that this beautiful city has to offer. I said earlier that you'll see something that will make you happy, too. My example for today: this morning, as I started my walk along R street, I smiled at a street gentleman who was standing on a street corner. He smiled back, and told me I was beautiful. That made my morning: it's easy not to make eye contact downtown, but a smile costs nothing, and can be returned tenfold. I will no doubt be travelling back-and-forth to Sacramento for many years to come. I expect to see the downtown continue to grow and flourish as the investment continues. I am looking forwards to seeing the vibrant art and music scene thrive. And I greatly, hugely and desperately hope to see that somehow, some way is found to give the street people the help, the care and the hope that every human being deserves.